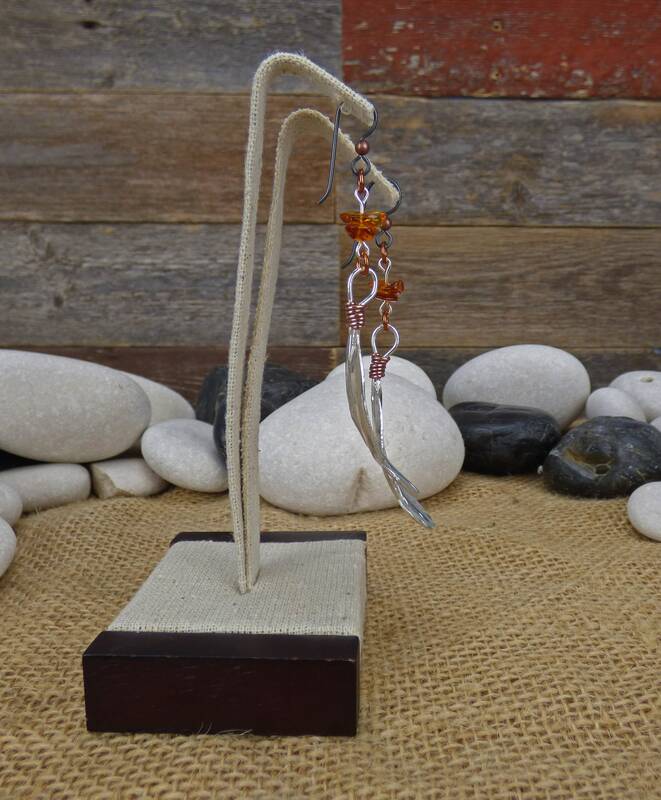 A sterling silver feather strung up with a copper wrap around the top loop as an accent piece before being joined with amber beads, and finished with a niobium earwire adorned with a copper bead. 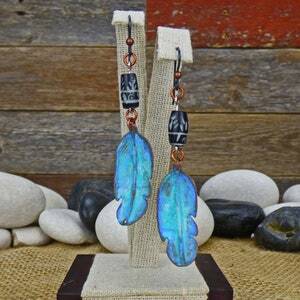 Niobium is a special kind of stainless steel that is hypo-allergenic, but can be colorized through a anodization process that does not change its hypo-allergenic state. 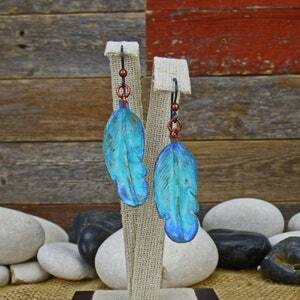 These hooks are a little more expensive than cheaper stainless earwires, but both the material, and the shape are superior to keeping a secure hold in your ear. 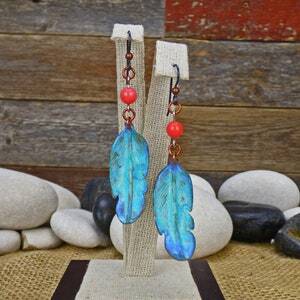 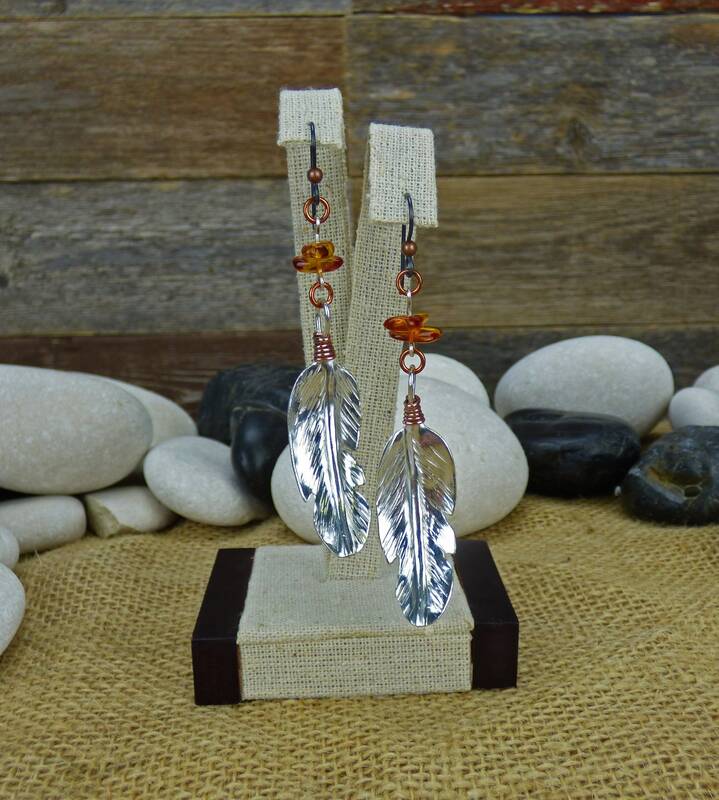 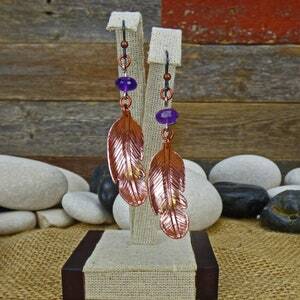 Don't forget to check the rest of my shop for more Native Feather Earrings, Silver Feather Earrings, Boho Earrings, Leather Tassel Earrings, Boho Jewelry, Chainmail Jewelry, Christian Jewelry, Victorian Necklaces, Renaissance Jewelry, Silver Jewelry, Copper Jewelry, Hand hammered Copper Bowls, and more!